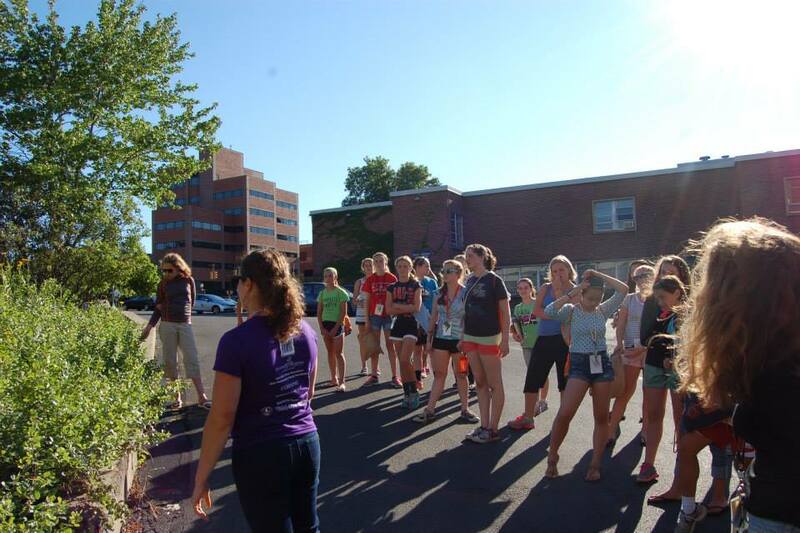 During my time at Syracuse University, I have volunteered to organize and lead activities for Project ENGAGE, which is a program that serves 7th and 8th grade girls over the course of two one-week camps. 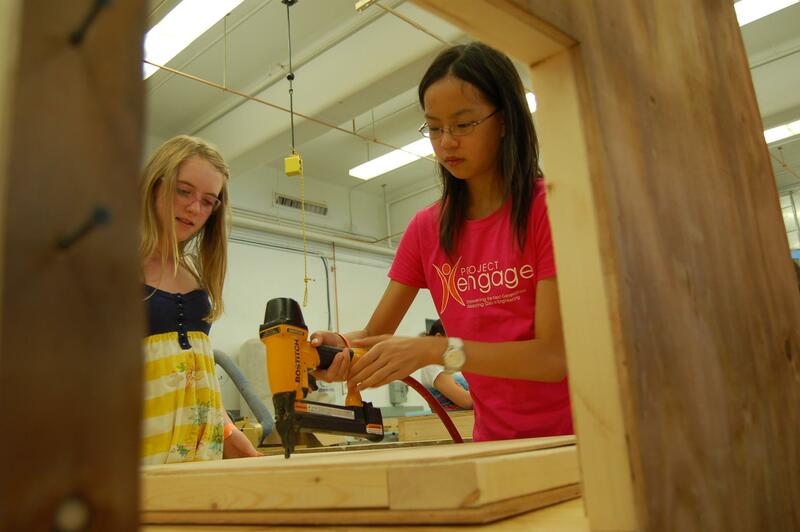 The program features classroom lessons, field trips, and hands-on activities on a variety of engineering themes. 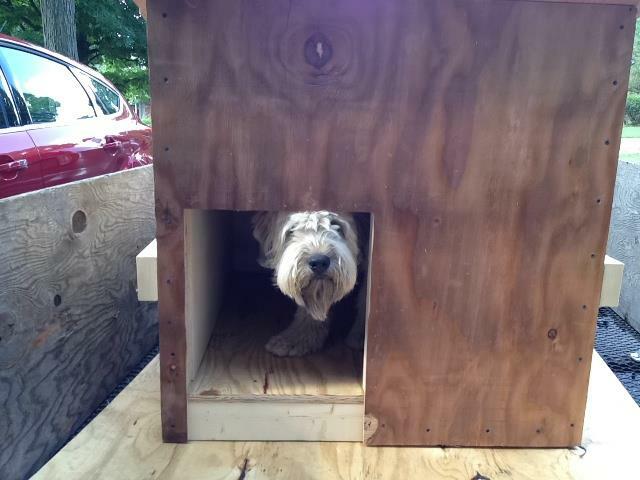 My favorite design module, which I developed along with my colleague Mallory Squier in 2012, entails the construction of doghouses with fully functioning green roofs. This project required drafting original designs and extensive machine shop work, which was very new territory for most of the girls. Unfortunately, the program did not take place in 2013 due to funding issues. 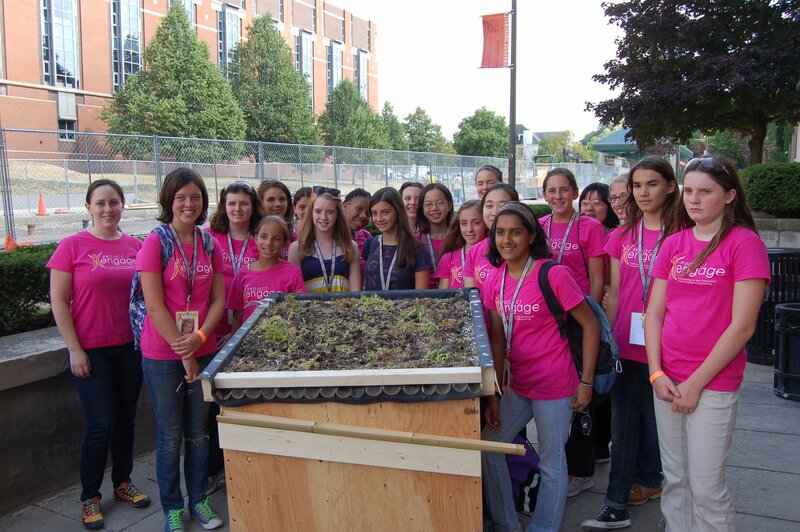 When the program was reinstated in 2014, Mallory and I prepared a scaled down version of our green infrastructure module. 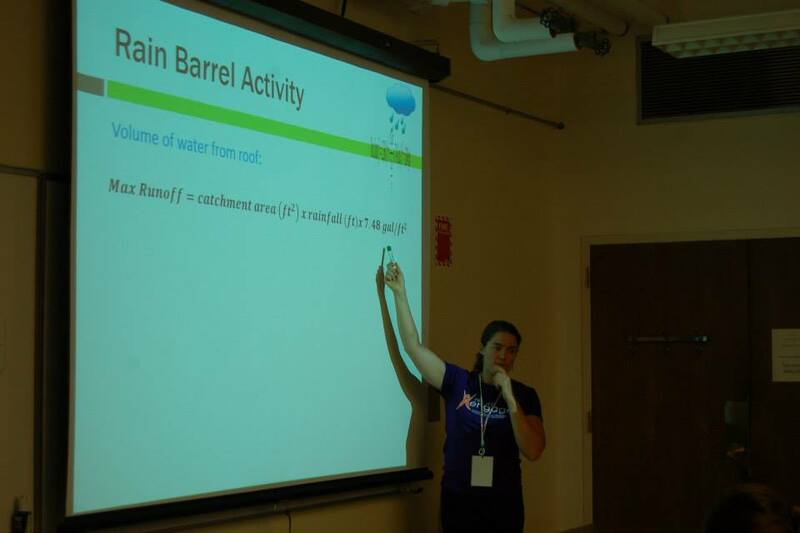 Supplemental materials: 2012 Presentation and 2014 Presentation. A summary of my experiences with the 2012 project can be found here. 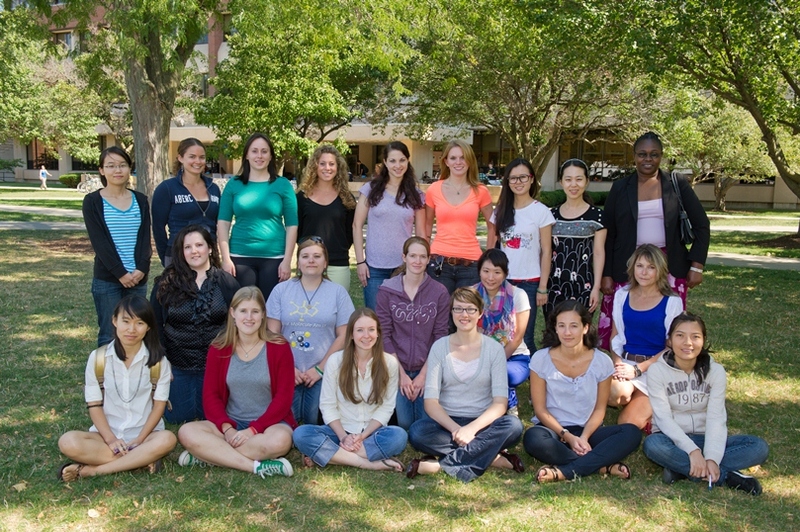 I completed the Women in Science and Engineering Future Professionals Program at Syracuse University, which focuses on graduate student career development, planning, and preparation, as well as addressing issues of female engineering student persistence in science and engineering. 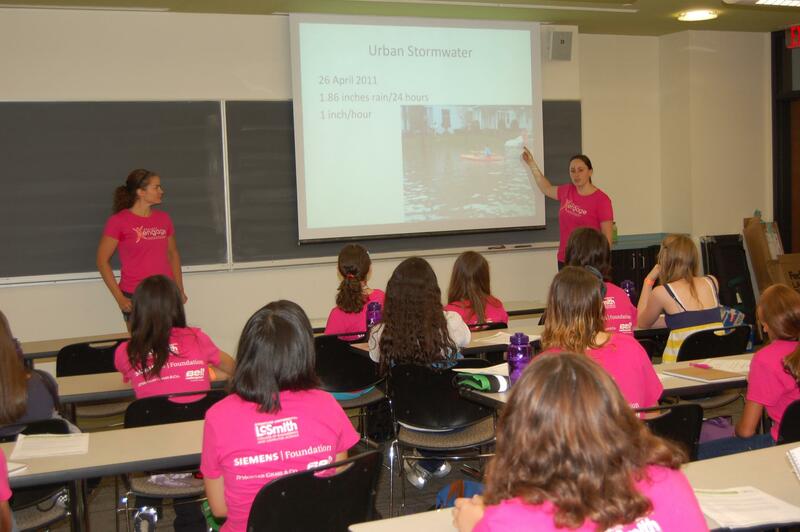 This program helped me to reflect on my own experiences as a woman in engineering, as well as to consider the challenges that others face in their programs. In 2009, I served as a teacher and resident advisor at the Blue Tree Summer Program in Bryn Mawr, PA. I planned several mathematics and science activities and lessons for the girls in additional to general camp activities.